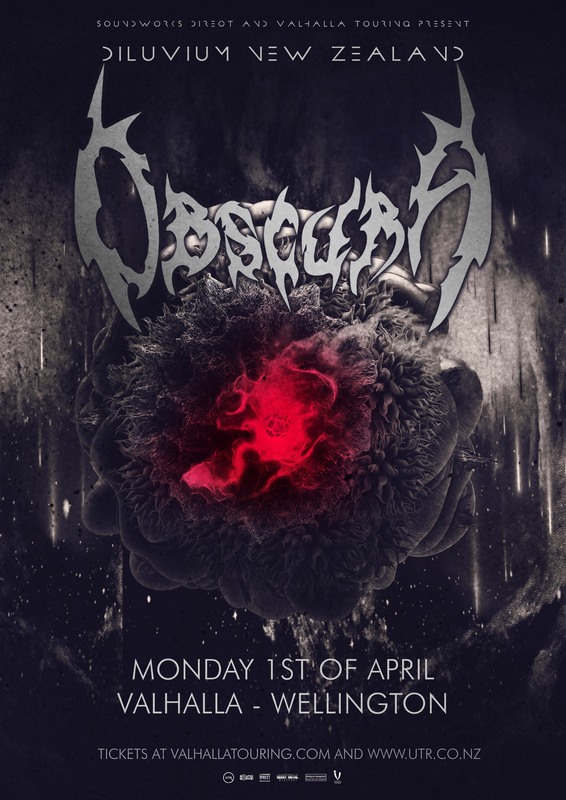 For the very first time, German progressive and technical death metal virtuosos OBSCURA bring their jaw-dropping musical prowess to New Zealand! From their very beginnings in 2002, the band have demonstrated an uncanny ability for blending different forms of technical, cerebral metal into a coherent synthesis of death, thrash and black metal merged with progressive elements. Not one to bend to convention, OBSCURA distinguished themselves and their unique brand of music via the tasteful use of vocal effects, fretless bass, philosophical underpinnings, and other elements rarely touched on in extreme metal. In 2018, OBSCURA complete their long-running, four-album conceptual circle with the release of Diluvium. Complete with all the band’s signature elements plus groundbreaking polyrhythms, dramatic songwriting, and almost incomparable virtuosity, OBSCURA raise the bar once again with an album that will go down in the annals of metal history as one of the most astonishing performances the genre has to offer.